Priya Prakash Varrier who rose to fame with just winking and fire gun kissing expression and she became an overnight internet sensation with millions of social media followers and several movies offer after a clip from her movie Oru Adaar Love hit the social media. The young talented actress who rose to fame all due credits to social media. As having millions of followers on social media is flattering, but also has its own drawbacks such as being targeted or trolled. The wink sensation is an active social media user. Currently, she is having a social media nightmare as one of her posts went viral for all wrong reasons which have been quickly deleted. If a little goof-up caught the eye of the citizens of the net it only takes a few minutes to go take screenshots. 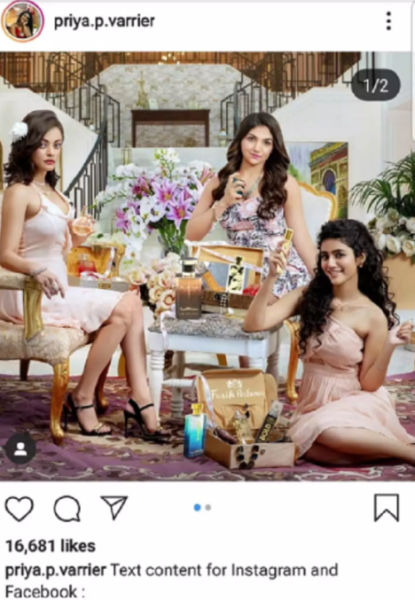 Priya shared a picture promoting a perfume brand, the picture which should have grabbed the eyeballs of the netizens instead the caption received all the attention of the massive goof up and she again became the victim of trolling on social media. She mistakenly copy-pasted all the instructions mail given by the brand also became every advertiser’s nightmare and every netizen had a new topic to laugh at. The post was later corrected and posted by Varrier. 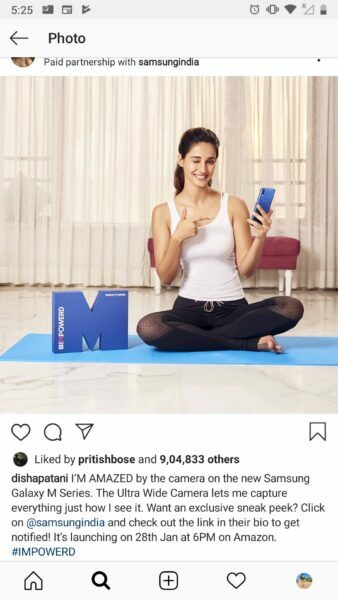 Previously Disha Patani also became the nightmare of every advertiser, after putting a promotional Instagram post for a mobile brand. She copy-pasted the entire instruction provided to her by the brand. Well, celebrities should put more attention while copy pasting. So that they don’t become the victim of trolling and the brands can promote their product without any negative publicity. 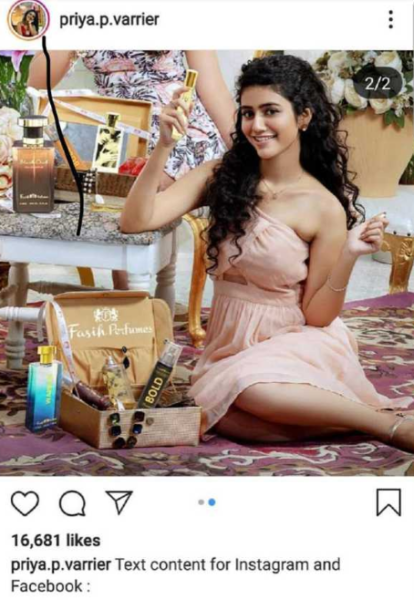 The post Priya Prakash Varrier Gets Trolled For Goofing Up With Copy Paste For A Brand Promotion appeared first on RVCJ Media.